The Lagos State Government says it has released N1.24 billion to pay its retirees for March. 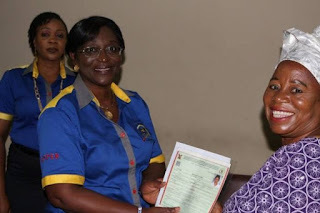 A statement by Mrs Folashade Onanuga, the Director-General, Lagos State Pension Commission (LASPEC), said the money was released to pay 183 retirees under the Contributory Pension Scheme (CPS). Lagos State Governor, Mr Akinwunmi Ambode, at the 49th Benefit Bond Certificate Presentation (BBCP) on April 4, reiterated his commitment to pay pensioners in the state promptly. Ambode, represented by the Commissioner of Establishments, Training and Pensions, Dr Akintola Oke, at the presentation, said 8, 731 retirees had received Accrued Rights of over N35 billion. The governor confirmed that the N35 billion Accrued Rights from inception of the administration till date had been paid into the Retired Savings Account (RSA) of the pensioners. He said that despite the high funding obligations of the state, it had been consistent in paying retirees. “Our commitment stems from the understanding that the greatest asset a state has are the employees. Their well-being in and outside the job is our priority.